I’m a menstrual cycle consultant, yoga teacher and author. I’m passionate about women enjoying optimal health and well-being by living in harmony with their menstrual cycle. I struggled with my cycle for 30 years until I found that tuning into my cyclical changes and the optimal type of yoga at the appropriate time almost totally eliminated my period pain and premenstrual syndrome. I was amazed – and still am! My levels of stress and exhaustion improved as I learnt to go with my ebbs and flows, instead of keeping going all the time. To my surprise, I also discovered benefits to the menstrual cycle that I never knew existed, like times when I’m full of creativity, which I now capitalise on. 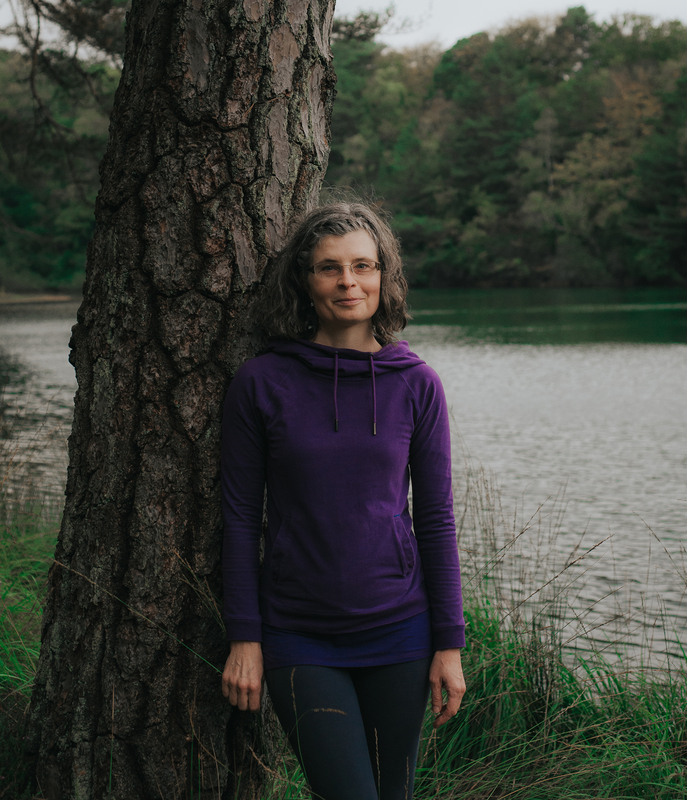 I have been practising yoga for 21 years and, before my menstrual cycle adventures, I found it the perfect antidote to a hectic London life and a demanding career as an environmental manager in engineering and construction. I’ve spent the last 5 years meticulously tracking my cycle, living by it more and more each day, and creating and refining the yoga I do to meet the ever-changing needs of my menstrual cycle and me. I struggled with my menstrual cycle for 30 years, not knowing that there were simple things I could do that would alleviate my difficulties. I don’t want other women to suffer unnecessarily like I did so I am inspired to share what I’ve discovered. I’m currently honoured and delighted to be assisting on the Women’s Quest Apprenticeship 2018, led by Alexandra Pope and Sjanie Hugo Wurlitzer of Red School. I’ve also enjoyed being contributing tutor several times for the Well-Woman Yoga Therapy course (a module of the Yogacampus Yoga Therapy Diploma). I wanted to verify and compare my personal experience with that of other women so have also trained extensively with experts in menstruality (Alexandra Pope, Sjanie Hugo Wurlitzer and Miranda Gray) and yoga therapy (Uma Dinsmore-Tuli). I am a British Wheel of Yoga accredited teacher. I have over 5 years’ experience as a mentor in my previous career as an environmental consultant and also coached colleagues when I was an environmental manager. I developed and delivered training programmes for over 10 years.